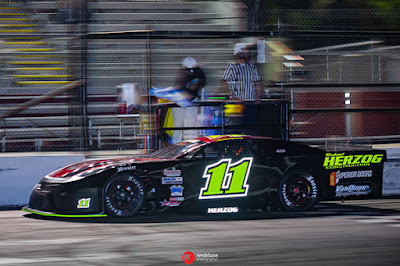 ROSEVILLE, Calif. (April 10, 2019) – The highly anticipated 2019 season for the NASCAR-sanctioned All American Speedway in Roseville, Calif. begins Saturday night. Race fans will be treated to eight main events including the “JM Environmental 127 presented by 51FIFTY LTM” for the touring SPEARS SRL Southwest Tour. 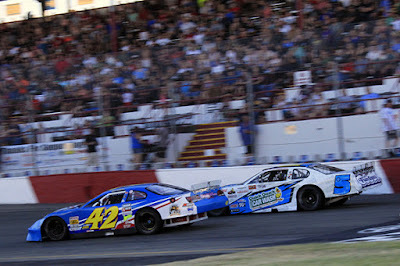 25 entries have been filed for the $5,000 to win SRL race, including local drivers such as Rocklin’s Justin Marks and Elk Grove’s Dylan Lupton who each have extensive experience at the highest levels of NASCAR. Former track champion Eric Schmidt of Roseville will look for his first touring stock car win at the track. Others trying to defend their track from the touring drivers will be father-and-son duo of John and Cole Moore of Granite Bay and Del Oro High School senior Jack Wood of Loomis. 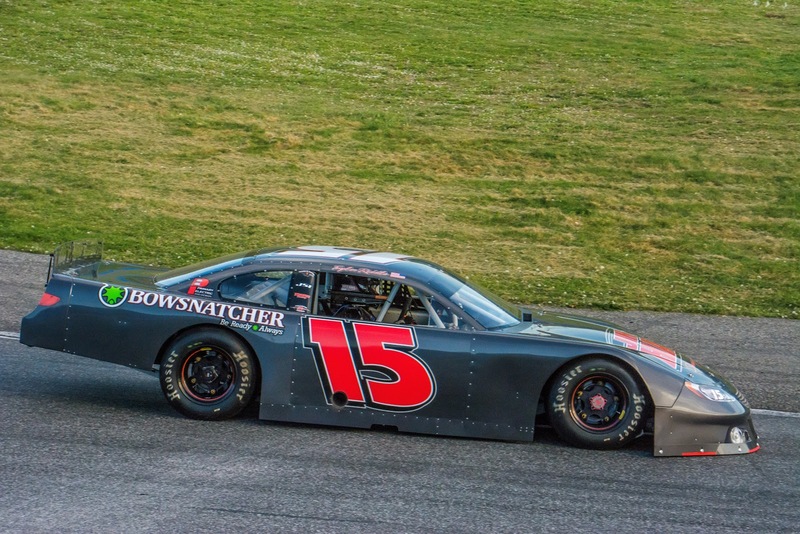 Many of the area’s most popular drivers are expected to be in competition during the first full season of promotion by Bill McAnally Racing Promotions. General Admission is $20 for Adults, $15 for Military/First Responders/Seniors 65+, $12 for Kids (6-12), and kids five and under are free! 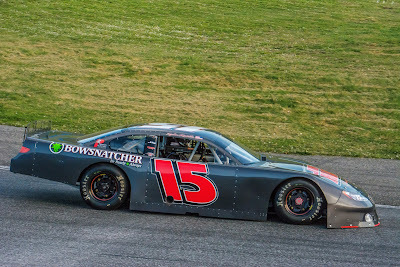 MADERA, CALIFORNIA (April 6, 2019) – Austin Herzog, 16, won his first career Nut Up Pro Late Model Series race on Saturday night at Madera Speedway, in a MAVTV-televised barnburner over series champion Matt Erickson. Madera, Calif. driver Joey Iest, also 16, added his first 51FIFTY Jr. Late Model Series win as well. Herzog had won six times in the Jr. Late Model category but never in the Pro division after a runner-up finish in the points in 2018. Former SRL Southwest Tour champion and Madera SRL winner Jacob Gomes drew the pole position and led the 21 Pro Late Models to green for the 80 lap contest. Gomes led an entertaining opening 27 lap segment that went non-stop with Carlos Vieira hot on his heels throughout the entire run. At several stages, more than half a dozen cars ran behind Gomes with all of them occupying the low line. Gomes started to diamond the corners in a bid to maintain the lead after several nudges from Vieira. Lapped traffic forced drivers to navigate both high and low to pass them. The entire field earned a breather on lap 27 when the first caution flew. Vieira was slow to get away from the outside on the restart, leading to a chain reaction crash involving Toni Breidinger and Christian Roche. Both cars managed to continue. Vieira then swept past Gomes on the next attempt to lead lap 28. A caution on lap 31 lined up Herzog inside Vieira and the duo ran in a near dead heat alongside each other. Vieira led Herzog in side-by-side battling through restarts on lap 36 and lap 39. A caution on lap 46 involved Tyler Fabozzi spinning and getting clipped by opening night winner Dylan Zampa. The caution brought the field to the scheduled 50 lap break four laps early. Ross Strmiska’s car broke under caution laps after the break was completed, ending his night from fourth position. Herzog continued his drives inside Vieira but Vieira maintained the lead on each attempt. Herzog finally tucked in behind Vieira on the outside line for several laps. Zampa charged through the field to occupy seventh only six laps after restarting at the rear. Herzog and Vieira continued to race neck and neck with Matt Erickson climbing up to third. Erickson took several shots at taking the duo three-wide for the lead. Herzog finally broke through for the top spot on lap 69 and appeared poised to motor away by five car lengths with Erickson up to second. Vieira engaged in a battle with Austin Herzog’s cousin Tyler Herzog that boiled over for a lap 72 caution with Vieira spinning. The caution nullified Austin’s strong advantage over Erickson. 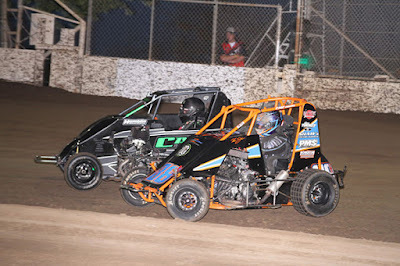 The following restart saw Erickson attempt a crossover move on Herzog as they dove into turn three. They made contact, with Herzog nearly spinning the car in a tank slapping maneuver. Erickson took the lead as Herzog tried to gather the car but the caution flew for Tyler Herzog spinning backwards into the turn three wall. 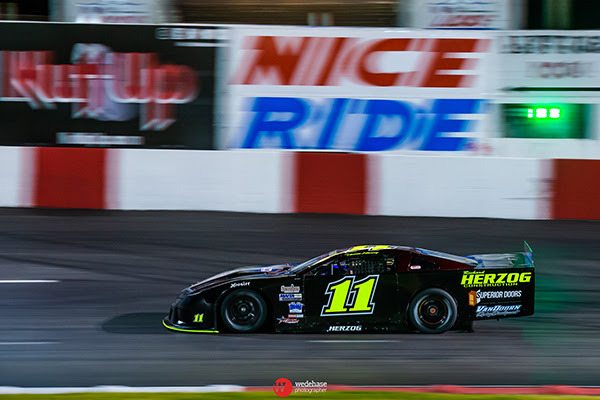 The race was reverted back to lap 75 and Austin Herzog maintained the lead. Austin Herzog’s final restart was picture perfect and he managed to pull away for a 1.849 second victory ahead of Erickson, Gomes, Roche, and 18th starting Ryan Hart. Zampa was sixth. Joey Iest led just the final two laps to take the 51FIFTY Energy Drink Jr. Late Model Series 70 lap feature. 19 drivers ages 10-16 years old took the green flag as the sun began to set on the one-third mile oval. Bakersfield’s Seth Wise led the first six laps from the outside pole position. Pole sitter Jadan Walbridge of Portland was eliminated from the race when he tagged a spinning Kasey Kleyn of Washington on lap six. Opening winner Tanner Reif of Las Vegas took over the lead on the ensuing restart from the outside. Wise searched high and low to try to take the lead back from Reif. Iest used the outside line over a series of restarts to overhaul both Tyler Reif and Wise to take over second position by lap 32. A caution on lap 34 brought the field to the lap 40 break a few laps early. A multi-car crash necessitated a red flag coming out of the break. Tyler Reif spun after contact from Jay Juleson. Reif was hit by Calvin Hegje who was then hit by Robbie Kennealy and Kercie Jung. Only Reif was able to restart – without his nose piece - while the other three cars suffered severe damage. Several drivers attempted to challenge Wise for third position including Austin Edwards and Kyler Berry. Berry and Wise bounced off the frontstretch wall on lap 66 to end Berry’s evening after he tagged the turn one wall as a result. A green-white-checkered finish followed after another incident two laps later. Iest had a strong restart from the outside to take the lead from Reif. They remained nearly side-by-side coming to the white flag. Reif made one last attempt on the inside of Iest but bounced off of his driver’s side door to spin across the finish line. Iest narrowly beat the spinning Reif to the stripe with Wise, Juleson, and the badly damaged car of Tyler Reif rounding out the top-five. Mini Cup vs. Bandolero action also enjoyed a first time winner with Ethan Nascimento grabbing the Bandolero portion of the event ahead of rookie Dylan Baptista. Aiden Phillips was the Mini Cup winner. Ryan Reynolds claimed the Modified Super Toyotas ahead of brother Shaun while Jason Lawton was victorious in Toyota Sedans. Up next for Madera Speedway is The BIG EGG HUNT for the Kids Presented by the Hampton Inn and Suites. It features the North State Modifieds, Madera Late Model Club Race, North State / Madera Hobby Stock Challenge, MST, Toyota Sedans, NCMA Sprints, and a 30 Lap Jr Late Model Exhibition race plus Legends of Kearney Bowl. Madera Speedway is presented by major partners Nut Up Industries, 51FIFTY Energy Drink, iPull-uPull, and Color Fast Industries. Contingency sponsors include Five Star Bodies, Maita Motorsports, McAllister Precision Marketing, H&S Body Works, Hoosier Tires, and StopTech Brakes. Madera Racing on MAVTV airs Thursdays every week. The show airs at 5 p.m. and 8 p.m. PST and is also available on the Lucas Oil Racing TV app. 2018 episodes will continue airing until the late spring, when 2019 episodes will hit the airwaves.